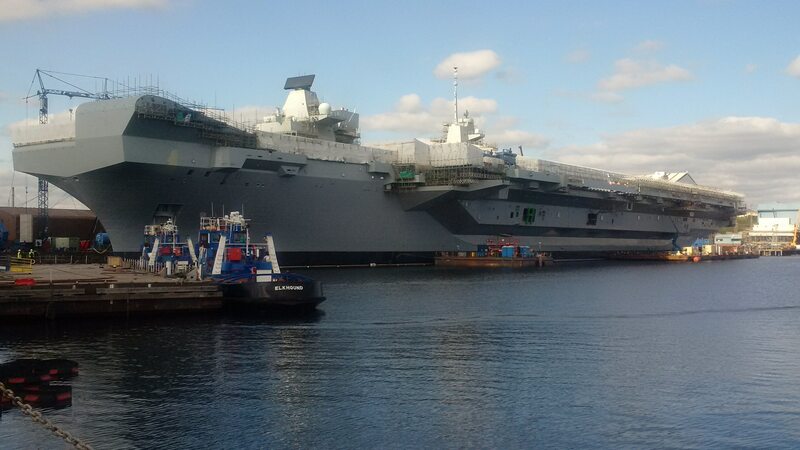 LONDON ― Britain moved a step closer to restoring its carrier strike capability Thursday when the 65,000-ton aircraft carrier HMS Queen Elizabeth was formally commissioned during a ceremony at the Royal Navy base at Portsmouth, southern England. The warship is set to start helicopter trials in the new year, and later in 2018 it’s scheduled to head for the east coast of the U.S. for initial flight trials with some of the 14 F-35B jets the British have so far purchased from Lockheed Martin. The largest warship in Europe, the Queen Elizabeth is one of two aircraft carriers built by the BAE Systems-led industry alliance in a program costing about £6.2 billion (U.S. $8.3 billion). The second carrier, HMS Prince of Wales, is structurally complete and is due to be formally handed over to the Royal Navy in 2019. Only one carrier will be operational at any given time, as Britain doesn’t have the manpower or other resources to simultaneously operate the two warships. 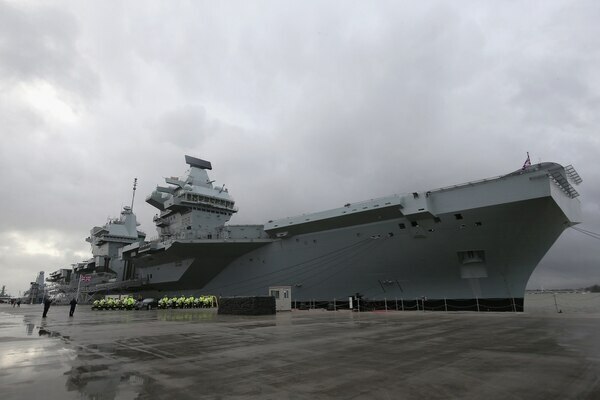 “The carriers will sit at the heart of a modernized and emboldened Royal Navy, capable of projecting power and influence at sea, in the air, over the land and in cyberspace, and offering our nation military and political choice in an uncertain world,” he said. The commissioning of Queen Elizabeth formally restores a carrier strike capability lost by the Royal Navy when a Conservative-led British government axed the Royal Navy’s Invincible-class light carrier fleet in the 2010 Strategic Defence and Security Review. For several years now, British pilots and naval personnel have been maintaining their skills by operating with their U.S. counterparts. 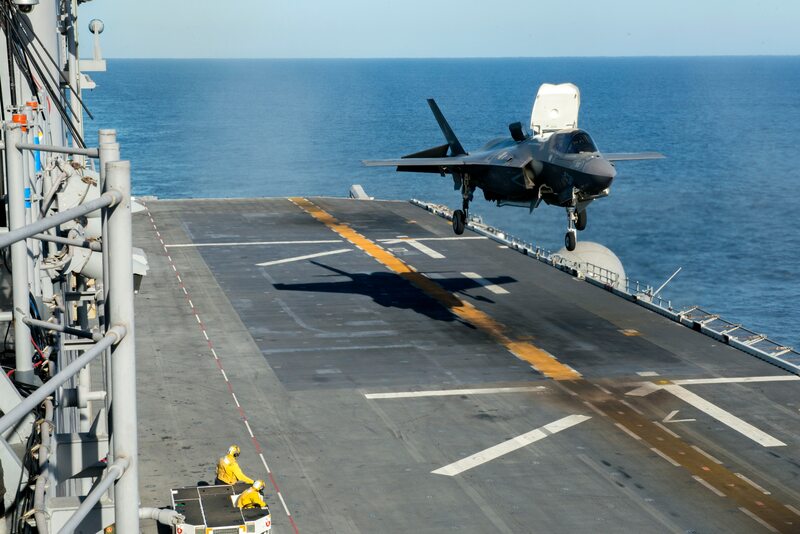 That close association is expected to continue with U.S. Marine Corp F-35B short-takeoff-and-vertical-landing jets flying from the deck of the Queen Elizabeth. Both US and British forces will operate the F-35B short takeoff and vertical landing version of the Lightning II strike jet. The deployment of U.S. Marine F-35s on the Royal Navy warship has in part been triggered by Britain’s inability to fund the acquisition of sufficient aircraft to provide a credible strike force in the years immediately following the introduction into service of the Queen Elizabeth. The British have so far ordered just 14 F-35Bs, of which all but one has been delivered. The final aircraft of the current batch on order is due to be handed over in the next couple of weeks. A further batch of aircraft for the British is currently being negotiated with Lockheed Martin, but a Ministry of Defence spokesman in Britain declined to say how many of the jets the country would order in the next lot. Britain has committed to buying 48 jets for use by the Royal Navy and the Royal Air Force, and the country has said it will eventually order 138 aircraft, although it has been vague regarding an actual timescale. The commander of HMS Queen Elizabeth, Britain’s new aircraft carrier, would like to see US Marine Corps F-35Bs and V-22s embark for up to nine months at a time once the warship becomes operational. When the Queen Elizabeth reaches full operational capability toward the back end of the next decade, the British plan to have two squadrons embarked, 24 aircraft in total. 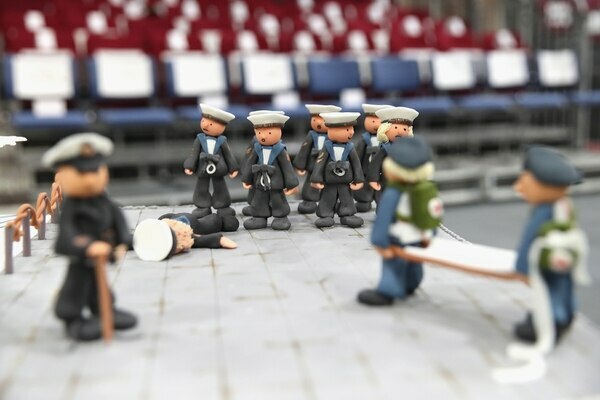 The warship has the ability to handle 36 fighters, although Royal Navy officers have said the carrier could operate with considerably more jets if required. Government ministers have hinted some of those later jets could be F-35As for the Royal Air Force. Ever since Britain opted to leave the European Union last year, the weakness of the pound against the dollar has threatened to hit an already overstretched defense budget. There is concern over whether that could have an impact on the F-35 effort — the UK’s second-largest defense program. One estimate reckons British purchases of U.S. military equipment could eventually account for a quarter of every pound spent on defense procurement. A defense and security review is also now coming to a close with a battle unfolding between the MoD and the Treasury over whether more cash will be available to stave off potentially crippling defense cuts needed to resolve a budget black hole of up to £20 billion over 10 years. Some of the cuts expected in the defense review could involve an already under-resourced Royal Navy seeing warship numbers and capabilities further reduced. The faceoff between the MoD and the Treasury reached a new low earlier this week when a media report in Britain said the chancellor, former Defence Secretary Philip Hammond, who many think is partly to blame for the hole the MoD is now in, would be barred from using Royal Air Force jets for VIP flights until his department paid its bill for previous trips.